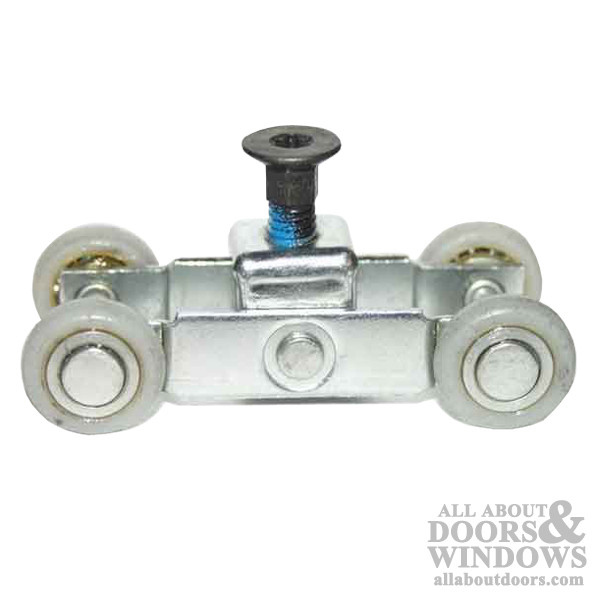 Stanley 1750 Series Pocket Door and By-Pass Roller Assembly with 4 wheels. Width: 1-3/16 inch spacing to center of wheels. 1-3/8 inch to outside. Length: 2-1/2 inches to center of wheels - No workable substitute at this time. There is no workable substitute or replacement for this part and we recommend replacing the entire pocket door itself.